The Country Inn & Suites can help make your next meeting a success with a flexible event space that can accommodate up to 40 guests. 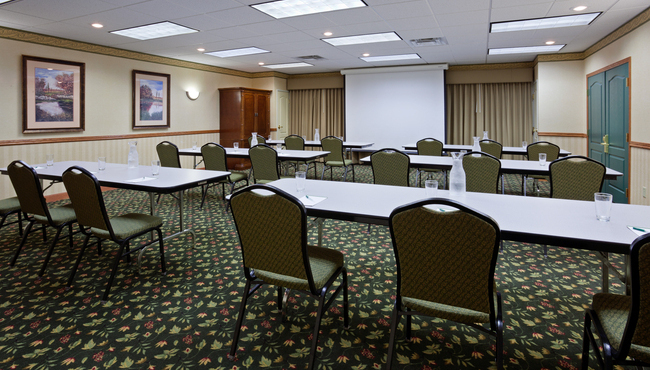 The hotel’s convenient location near I-94 in Albertville makes it easy for attendees to reach your meeting. Essential amenities like free Wi-Fi, flip charts and a projector can help make your presentation look impressive. You can also work with the hotel to provide your guests with baked goods and drinks, or you can choose to arrange for off-site catering. Contact the hotel’s friendly and professional staff today to reserve this space.